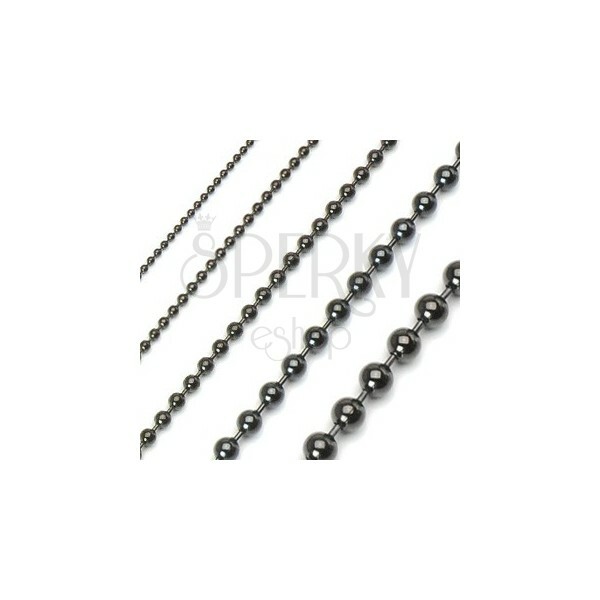 A ball chain made of stainless steel in shiny black colour. By buying this product you can collect up to 10 points as a voucher of $2.70. Your reward points. A military style chain necklace with ball links in shiny black colour.